Tallahassee tort reform advocate railed in a newspaper column against sanctions after Broward Circuit Judge Charles Greene tossed chemical maker DuPont’s defenses for defrauding the court in a pair of multimillion-dollar cases. Attorneys representing Ecuadorean shrimp farmers who sued DuPont over damage blamed on its fungicide Benlate contend Shook Hardy attorneys wrote the opinion article and solicited Large to submit it for publication in a bid to influence the jury pool in forthcoming trials. Large acknowledges receiving a draft from DuPont attorneys but maintains he substantially rewrote it before submitting it to the newspaper. Large’s 400-word article set off a chain reaction that prompted Greene to impose a blanket gag order with a threat of contempt if the parties violate the ban. DuPont appealed the gag order, and Large unsuccessfully appealed an order requiring him to submit to a plaintiff deposition. Confidentiality rules limit what The Florida Bar can say about complaints against attorneys. But Bar spokeswoman Karen Kirksey said DuPont attorney Thomas Sherouse, a Miami partner with Shook Hardy, has a confidential complaint pending against him over a letter, which she couldn’t discuss. Large is not facing a Bar complaint, Kirksey said. DuPont spokesman Dan Turner declined comment. Sherouse did not return calls for comment by deadline. Plaintiff attorney Ivan Cabrera of Krupnick Campbell Malone Buser Slama Hancock Liberman & McKee in Fort Lauderdale declined to comment, citing the gag order. Court records, however, show the judge had considerable concerns over whether the article’s intent was to influence potential jurors in the case. The 4th District Court of Appeal cleared the way last month for plaintiff attorneys to depose Large to determine DuPont’s involvement in the op-ed piece. A 2-1 ruling March 10 upheld Greene’s previously unreported Dec. 22 order. 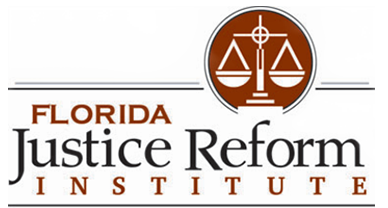 “The selection of the Sun Sentinel by a public relations firm — a daily newspaper originating in Broward County, within three to three-and-a-half months of the scheduled trial — gives rise to proper inquiry as to whether ... [it] was an attempt to influence public opinion in order to prevent the parties from obtaining a fair and unexposed” jury pool, Greene wrote. The plaintiffs also seek billing statements for time DuPont counsel spent on the op-ed piece. DuPont also appealed Greene’s gag order, which is set for oral arguments Tuesday. The gag order is so broad that it prevents the company from even talking about the case to shareholders, DuPont’s appellate brief said. “The trial court’s order violates every possible rule of law dealing with prior restraints on speech and cannot stand,” DuPont appellate attorneys Rodolfo Sorondo Jr. and Christopher N. Bellows of Holland & Knight wrote in January. DuPont suggested a better option would be to make sure future jurors were not influenced by the op-ed piece. The shrimp farmers responded in court papers that DuPont’s actions were “merely the latest in a long line of improprieties in this and many other cases,” including several sanctions in the Broward Circuit Court cases. “Given DuPont’s history and the evidence summarized, it is not surprising that the trial court would act quickly to cut short DuPont’s latest scheme by entering a preliminary injunction after receipt of the plaintiff’s motion for sanctions,” Miami appellate attorney Joel Perwin wrote for the farmers. In Large’s appeal to the 4th DCA, he contended he was being punished for exercising his First Amendment rights. He noted Greene did not take a similar action when plaintiff attorney Walter “Skip” Campbell responded in the Sun Sentinel to Large’s piece or when co-counsel Robert McKee was quoted in a September article in the Daily Business Review about the DuPont sanctions. “There is nothing in this record — not a word — to suggest that Large’s speech is any more ‘dangerous’ than that of plaintiff’s counsel,” wrote Large’s attorney, George Meros Jr. of GrayRobinson. Campbell, McKee and Meros did not respond to requests for comment. Large denied receiving any money for submitting the piece. He also argued he did not have a chance to demonstrate to Greene that his article had no effect on potential jurors. Ecuadorean shrimp farmers Aquamar, Molinos del Ecuador and Desarrollo Industrial Bioacuatico, or DIBSA, sued DuPont in 1997 and 1998, claiming runoff containing Benlate from nearby banana farms entered waterways and killed shellfish. In separate negligence trials, DIBSA won a $14.3 million verdict and Aquamar won $12.3 million. Both verdicts were overturned by the 4th DCA. Another Broward judge granted a new trial after finding DuPont engaged in discovery violations by concealing a study that found Benlate could have caused the contamination. Last June, Greene found the chemical manufacturer committed fraud that “permeated the entire litigation” by concealing information about the creation of a new Benlate formula that was not reviewed or approved by U.S. or Ecuadorean authorities and lied about the fungicide’s registration status. DuPont claimed its U.S. formula registration barred the farmer’s claims. As a sanction, the judge found in favor of the plaintiffs on liability, leaving only the question of damages to be decided by juries. The case was scheduled for retrial in January before Greene. The case has since been moved to Judge Patti Englander Henning, who replaced Greene in the complex litigation unit. The first of the two trials is scheduled to take place before Senior Judge Robert Carney next month.